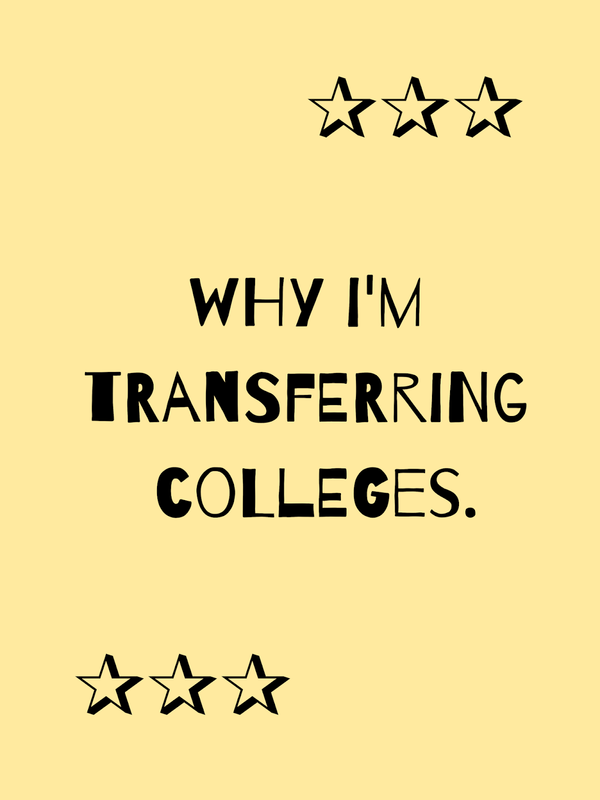 It's okay to want to transfer colleges. If you are not happy with the selection that you've made, you don't have to stay there. Even though I am grateful for the people that I've met during my freshman year of college, I still feel the need to transfer. When deciding whether or not to transfer, don't base your decision on the people that you've met. You're going to meet great people regardless of which college you attend. Instead, focus on the classes, the environment, and your gut feeling. For me, I thought that the classes at my college were not rigorous enough and it reminded me too much of high school. The environment reminded me of high school too. I felt like nobody was very social, everyone kept to themselves, and the student population was very small too. I kept seeing the same people every day but there was not any interaction happening. I also went with my gut feeling. I've learned that your gut feeling is usually correct. If you wake up and are not excited, if you get done with classes and feel unmotivated, and if you sit in your dorm with nothing to do besides homework, then these may be telltale signs that you are not at the right place. After spending a semester at my current college, I've gained enough experience to know that my heart doesn't belong here. -I finished my first semester of freshman year and I am two weeks into my second. -I am in the process of transferring colleges. Stressful. But I can do it. -There's always time to improve. -I find that I stress out a lot and I am trying to work on being less stressed and more happy. -I met the love of my life and he makes me so, so, so happy. -People come and go. True friends will stay with you. Happy 2019. There's been a lot on my mind and I can't wait to continue sharing my thoughts in this little corner of inspiration. -Tomorrow, I leave for college. -I'm a bit excited, but mostly nervous. -I got two cartilage piercings and three more lobe piercings. -I bought a custom domain for this blog! -Which is a promise to myself to dedicate more time and effort into this space. -I have been going to hot yoga classes and even though it is really tiring sometimes, I love it! -I just want to leave a bit of advice here: It's okay to not know your path. Even though others might seem to have their entire lives laid out in front of them, that is their life. Not yours. So there is no need to compare or rush into making any life decisions. Take life step by step. I admit that I stress about my future too much. I keep worrying about what the future holds and how I will make my life meaningful/live it the way I want to. But remember, a lot of people around you are going through the same confusion. You live life by experiencing it. Instead of worrying too much about every little thing, try to enjoy life and grow along the way. We can do this.